Welcome to Day 6 of the #OolaForChristians Challenge. Random Bible fact: God made Man on the 6th day. God also said it was not good for man to live alone. So, I bet you can guess what our focus is today… Friends! While living out the OolaLife, it is imperative to have quality friends on the journey beside you. 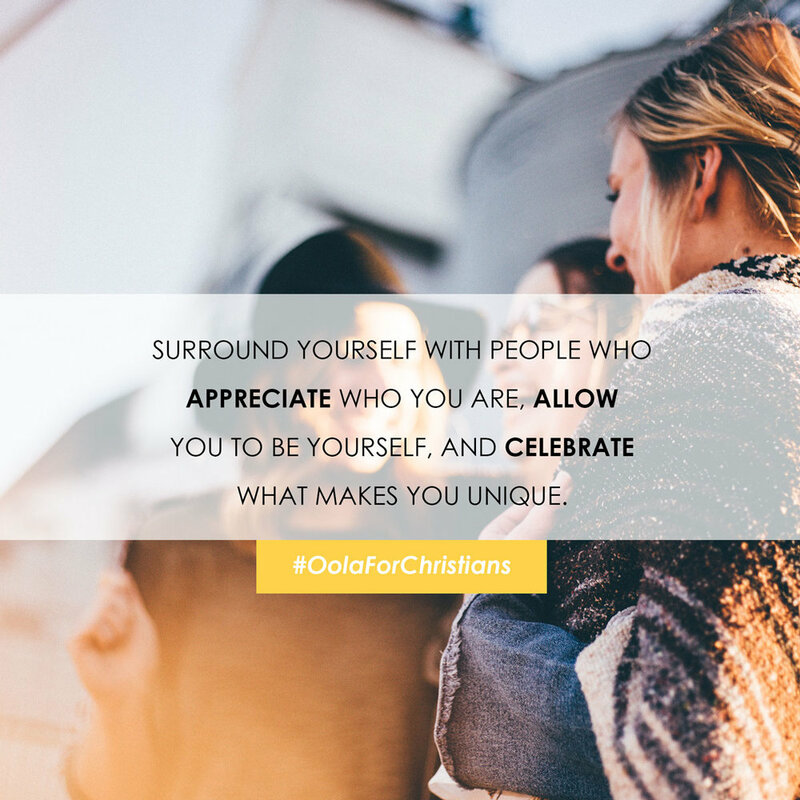 Throughout the book, Oola for Christians, we can see how Jesus showed us the importance of not just having people help him with his ministry but also that he had true friends that he did life with. Even though Jesus got hurt and betrayed (like most of us have), he didn’t allow that to stop him from letting people in. We all want good friends, but are we a good friend? Day 6 - Today’s challenge is to do something nice for a friend, just because. You could make your friend dinner, offer to come by and do a load of laundry, babysit, take your friend to a hockey game, offer to wash their car or simply write them a letter letting them know how much they mean to you. So often we save letting our friends know how much they mean to us until we are asked to speak at their funeral. Take today to let your friends know how much you love them. God, thank you that your word says that you are a friend that sticks closer than a brother. How you care for me lets me care for others. Help me to be a person that empowers the people to be who you have called them to be. When I am struggling, help me to know that I am capable of healthy relationships. Today I lift up (your friends name) to you in thanksgiving. Thank you for putting them in my life.